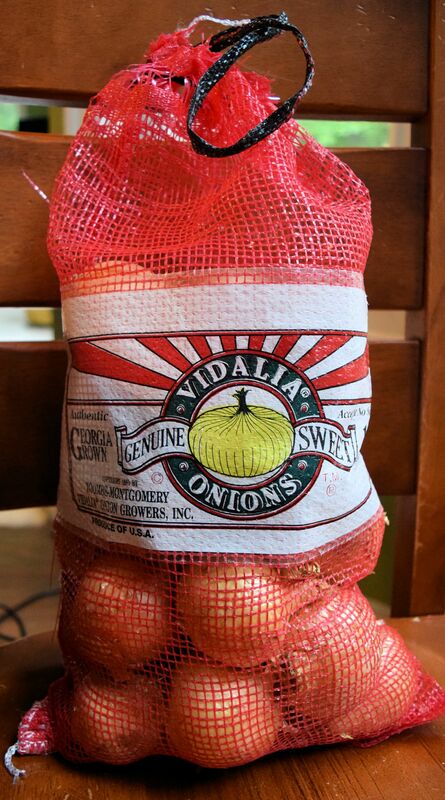 What do you make with ten pounds of Vidalia onions? I started with baked ziti, then quesadillas, then mini quiches and now I’m a third of the way through the bag and thought I would make some fried onion rings. My school had a fundraiser selling onions. You’re thinking… that only could happen in Georgia…am I right? I’m thinking…where are the fundraisers of the past when you got to sell World’s Finest Chocolate like we did for our high school band? Now, that’s a sure-fire money maker mostly because I would eat half the box while apathetically trying to sell the rest and then have to give up my allowance for a few months to pay for my secret consumption. I’m sure I wasn’t the only one. Maybe that’s why they sell onions now. So as a good supportive stakeholder in the school’s bid for bigger and better playground equipment for special ed, I bought a ten pound bag of the onions. I was afraid we wouldn’t eat them all before they spoiled but I have only had a them a couple of weeks and we are plowing right through the bag. I don’t think we’ll have trouble finishing the bag at all. I guess I should have gotten two. Maybe that would have paid for another swing or something. I have never made onion rings before and I was surprised at how easy they were to make. I wouldn’t want to do it for a living like the vendors at the spring festivals, but it was satisfying to be able to make something that seems like only experts can do. Here is a sneak peek of my rings. What do you think? Cut onion(s) into 1/4 inch slices (or thinner). Place onion slices in a bowl of ice water for one hour before cooking. When ready to cook, remove onions from water and pat dry with a towel. Place 1 cup of flour in a breading tray. 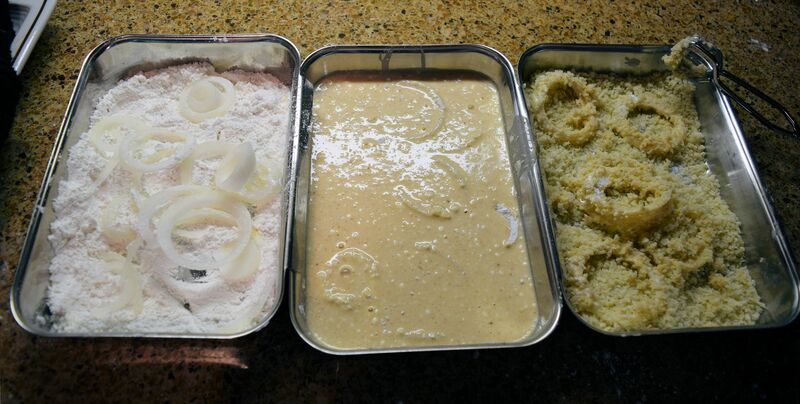 Mix together 1 1/4 cups flour, baking powder, salt, paprika, egg, and milk. Pour mixture into another breading tray. Place the Panko into a third breading tray. Heat oil to 360-375 degrees. Use a candy thermometer to watch the heat of the oil. 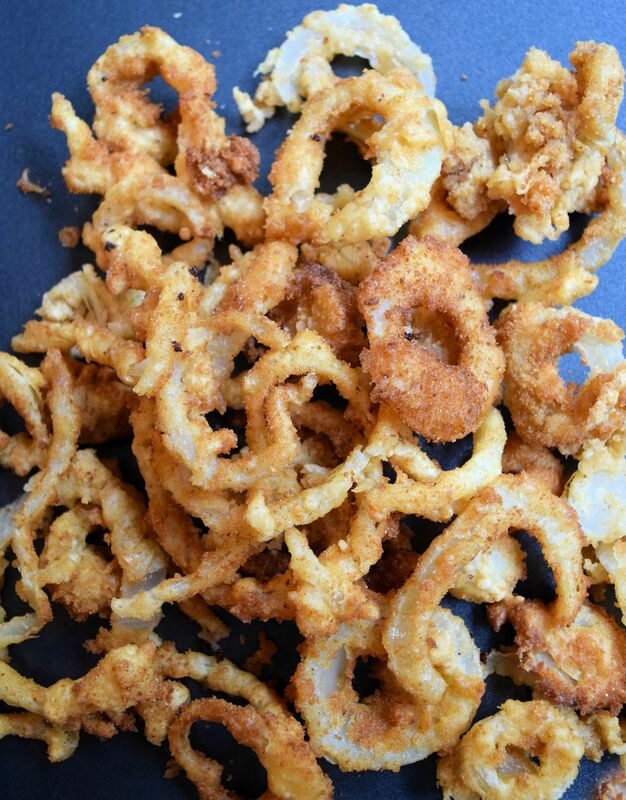 Place a few onion rings in the flour, then the egg batter, and last into the Panko crumbs. 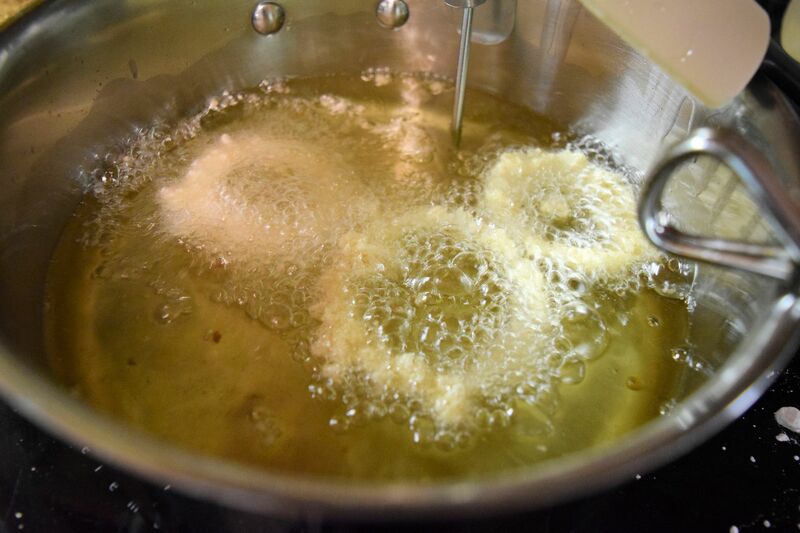 Drop a few onion rings at a time in the oil. Fry for about a minute on each side. Remove from oil with tongs and drain on paper towels. Repeat until all onion slices are used. Season with additional salt and pepper, if desired. You can see all three trays in action here. At first, I fried them a few at a time so that I didn’t “crowd the pan” but then after a while I just starting dumping them in the pot in clumps. Hey, I’m crowded all the time…in airports, on buses, in movies… Okay, you got me…I don’t really go to any of those places very often but why should these breaded fellows get special treatment? I know. I know. It’s so they will cook more evenly and not lower the heat of the oil, but I was getting a little tired of standing over a hot grease pot frying like a festival wench and besides, we wanted to eat in this century! We did get to eat in this century and we LOVED these onion rings. You will, too.